Providence Washington Insurance Company is one of the oldest insurance companies in the United States. Founded in 1799 and based in Providence, Rhode Island, it covers 15 states, mostly on the East Coast. In 2004, after several years of financial losses, the company failed to raise the capital it needed to survive, and was unable to find a buyer. Consequently, it stopped issuing new policies while continuing to service the existing ones. It named Jeffrey S. Mack as its Chief Executive Officer and Managing Partner. With more than 25 years of experience in the insurance field, Mr. Mack has restructured the company which works now with self-insurers, insurance companies and law firms. 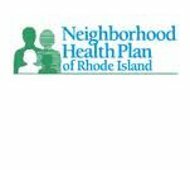 If you live in Rhode Island, and are looking for health insurance coverage, you might be interested in the Neighborhood Health Plan of Rhode Island. From its inception to 2010, it has been in the top ten Medicaid health plans in the U.S.A., according to the National Committee for Quality Assurance, and its revenue has grown 112 percent in the last five years. It now has more than 75,000 members. The Neighborhood Health Plan of Rhode Island has 225 employees, and they come from a diverse background and possess a wide range of experience. With more than 30 nurses and social workers among them, they strive to create an equitable and effective health care system for their clients. You can reach the Neighborhood Health Plan at 1-800-459-6019. The Neighborhood Health Plan has a network of more than 900 primary care physicians and 2700 specialists. It works with all the hospitals and more than 80 percent of all pharmacies in the state of Rhode Island. Members with a family income that is less than 150 percent of the FPL (federal poverty level) do not have to pay a monthly premium. For members above 150 percent of the FPL, the monthly payments range from $91 to $122. If it is health insurance quotes you need, just enter your zip code in the free rates box right now.